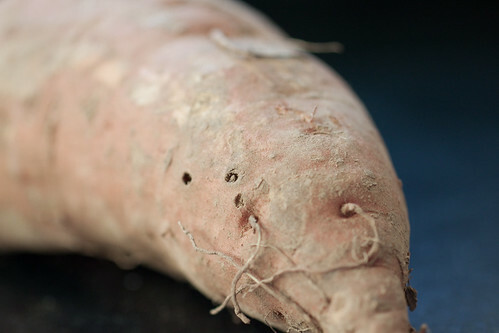 Growing up near Rocky Top, I always heard the sweet potato referred to as the “Big Orange” potato. While it may not be the official tuber of the Vols, I do think this savory combination of sweet potatoes, salty bacon, and tart apples would go a long way in closing the endorsement deal. As it’s now turkey time in Tennessee, give this the starting job in your Thanksgiving line-up and then watch any leftovers disappear the next morning when served alongside poached or fried eggs for breakfast. 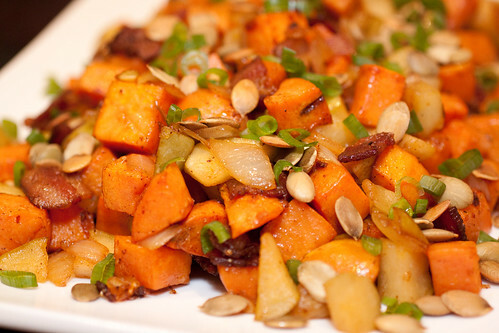 While folks here still “get their corn from a jar” (if you know what I mean), their sweet potatoes should come in the form of this heavenly harvest hash. Even Smokey would agree that it makes for some doggone good eats. On a large baking sheet (I use my half-sheet pan for this and, well, practically everything), drizzle the sweet potatoes with olive oil and sprinkle with salt. Toss to coat and then spread out in an even layer. Roast the sweet potatoes until they are soft but not mushy, about 10 to 15 minutes. Remove from the oven and reserve. Saute the bacon over medium heat until crispy and brown. Pour off some of the grease or live dangerously and keep it all – it’s your call and your arteries. Add the onions, season with salt, and saute until the onions are very soft and aromatic. Add the apples and the scallion whites and saute for 3 to 4 minutes. Stir in the sweet potatoes, and saute until the sweet potatoes are cooked through and starting to become crispy, about 7 to 8 minutes. Transfer to a serving platter and garnish with the scallion greens and pumpkin seeds to make it purty. 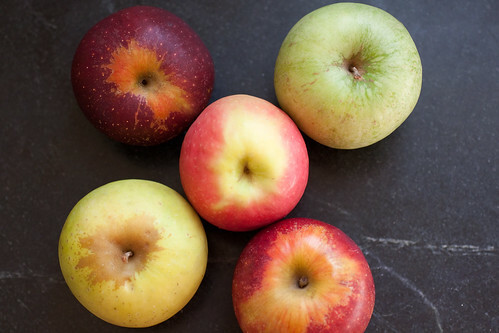 2 Responses to "Sweet Potato, Bacon, and Apple Hash"
Your photos are fantastic! And I’m sure the recipes are good, too- I might have to try this one. Thanks so much, Kim! Let me know what you think if you do try it.